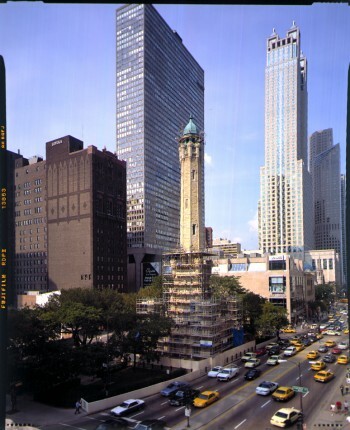 Bauer Latoza Studio served as architect to the City of Chicago Department of General Services for the restoration of the exterior of the Water Tower. 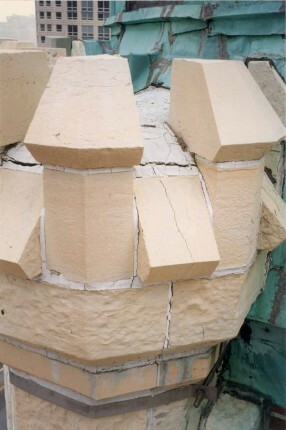 The Firm assessed and documented the condition of every individual stone of the facade, using that data to devise a step-by-step method to repair and clean the Joliet Lemont Limestone exterior. Consolidant and water repellant products were applied to retard the inevitable occurrence of stone shaling. Bauer Latoza directed a low pressure, chemical-free, water cleaning through a grid system of nozzles. The copper cupola was then reconstructed precisely according to the design drawings of 1866. 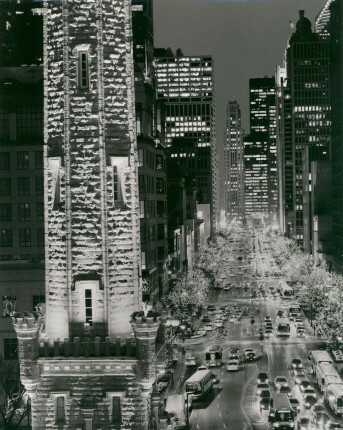 Additionally, Bauer Latoza Studio assisted in the design of new exterior uplighting with which to showcase the Tower on North Michigan Avenue. The work was completed ahead of schedule and under budget. 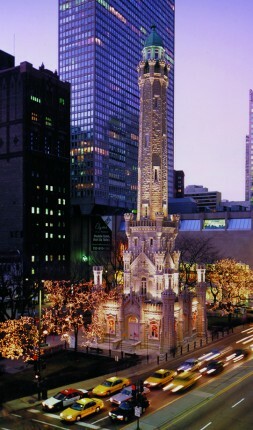 Designed in 1866 by William Boyington, Chicago’s Pumping Station, built in conjunction with the historic Water Tower, was one of the few buildings left standing after the Great Chicago Fire of 1871. 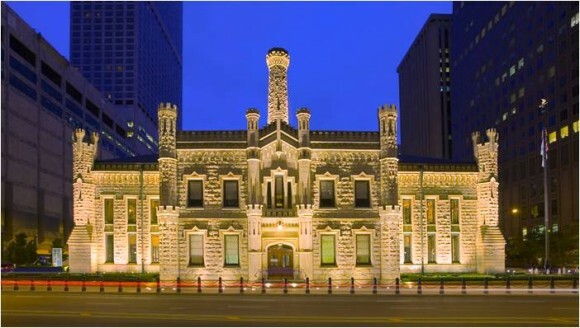 Executed in “Castellated Gothic” style and built of locally quarried Joliet limestone, the exterior of the Pumping Station is flanked by massive decorative columns with castellated crowns. Bauer Latoza Studio was retained by the Department of General Services for the restoration of the exterior of the Pumping Station. Bauer Latoza Studio assessed and documented the condition of the stone facade. The next phase of work involved implementing the step-by-step method to clean the stone exterior. 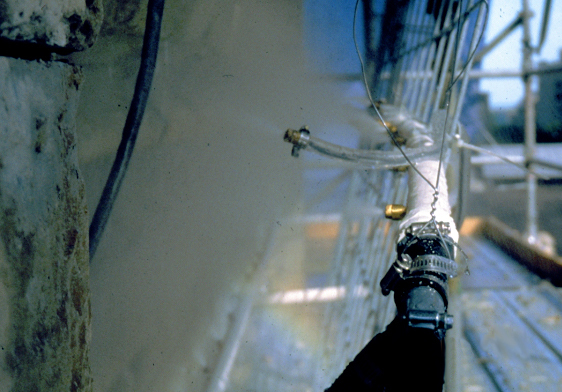 A grid system of 300 nozzles, misting the stone surface at two minute intervals for eight hours, provided the stone a low pressure, chemical-free water cleaning. In addition to cleaning, a consolidant and water repellant was applied to every stone in the monument to retard the inevitable occurrence of stone delamination. To compliment the newly restored limestone, all of the copper and wood windows were restored and refinished.